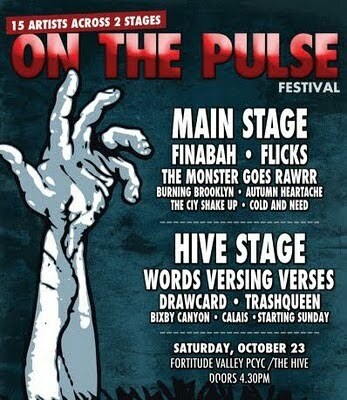 • Brisbane’s ‘On The Pulse’ Music Festival hits this time next weekend in Fortitude Valley, but for one of the acts playing, it’ll also mark their farewell performance. Local outfit Flicks have decided to separate “for an extended break” and will use the gig to say goodbye to their fans. 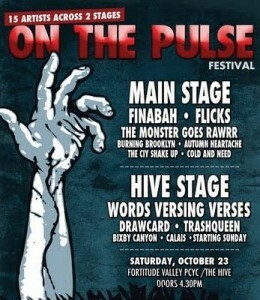 Also on the bill is Finabah, Words Versing Verses and more. Hit THIS SITE for more info. • In Melbourne, the Face The Music conference, to be held in November, has announced its third round of guest speakers. Also taking the stage will be internationally renowned DJ Carl Cox, along with former Warner Music boss Michael Parisi, the head of A&R at Inertia Justin Cosby and many more. Face The Music hits the Victorian Arts Centre on November 19 and 20. • In Sydney, Nova 969 revealed that Ricki Lee Coulter will leave the station’s breakfast slot at the end of the year. No word yet on whether she will head back into the music business and release her long-awaited third album ‘Hear No, See No, Speak No’. • Frontier Touring Company has announced the support act for Usher’s forthcoming tour – Trey Songz. The up and coming R&B star has already experiences great success stateside with his singles ‘Bottoms Up’ and ‘Can’t Be Friends’ and locally, his new album ‘Passion, Pain & Pleasure’ is set for release this Friday. • In the United States, Bruno Mars is stuck on the top spot on the Billboard Hot 100 singles chart again this week with his super-hot single ‘Just The Way You Are’. Rihanna’s gaining – up two spots to No.6 with ‘Only Girl (In The World)’ and Taylor Swift pops in at No.8 with the title track from her forthcoming album ‘Speak Now’. • On the Billboard 200 albums chart this week, it’s country star Toby Keith smiling all the way to the bank, with his new album ‘Bullets In The Gun’ debuting in the top spot. Debuting at No.3 is Bruno Mars’ album ‘Doo-Wops & Hooligans’, while Waka Flocka Flame debut at No.6 with ‘Flockaveli’. 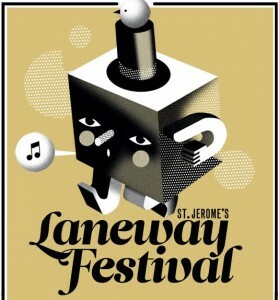 • And finally, the line-up was revealed this week for the forthcoming Laneway Festivals around the country. Cloud Control, Cut Copy, Gotye and Two Door Cinema Club are some of the bigger names on the bill, with tickets for all dates available at www.lanewayfestival.com.au from this Wednesday, October 20.